While blends rule the roost in terms of sales volumes, single malt Scotch whisky is more popular than ever around the world. But which are the most popular drops from distilleries around Scotland? Richard Woodard investigates. This is a golden age for malt whisky, certainly in terms of global interest and sales. More people are drinking more malt Scotch than ever before – well over 100m bottles in 2017 alone. Malts are still dwarfed by blends – which sell roughly 1bn bottles a year – but, from the US to China, they are growing fast and beginning, very slowly, to eat into the market share of the likes of Johnnie Walker and Ballantine’s. Nothing illustrates this phenomenon better than the fact that there are now two ‘millionaire’ malts on the market: Glenfiddich and The Glenlivet both sell more than 1m nine-litre cases of whisky a year, and they could soon be joined by Macallan. Below this clear top three, the rankings are more fluid, with none of the rest of the top 10 occupying the same position as in 2016; nonetheless, only two – Glenmorangie and Aberlour – saw their sales decline last year. The biggest mover is not a single malt at all, but blended malt Monkey Shoulder, which enjoyed remarkable growth of more than 30% last year. Being able to draw on William Grant & Sons’ full roster of distilleries helps counteract the supply shortages that are currently affecting many single malts. Another name on the rise is Diageo’s Singleton brand which, it’s important to note, covers not one but three malt distilleries: Dufftown, Glen Ord and Glendullan. Their combined sales are featured here, since no individual breakdown is available. As with our recent rundown of the world’s best-selling blends, our list is based on 2017 volume figures, provided by the leading drinks industry data provider and commentator, The IWSR Magazine, and measured in terms of sales of nine-litre cases. In 1886, the manager of Mortlach distillery in Dufftown decided to go it alone, investing his life savings and considerable physical effort to build his own plant by the banks of the Fiddich river. William Grant would scarcely be able to believe what has happened since and, in particular, since Glenfiddich was fully launched as a single malt during the 1960s: more than 1m nine-litre cases a year sold around the world, and the already vast distillery undergoing further expansion. Built on a new make style that is notably light and estery, Glenfiddich’s range has grown and diversified over the years, centred now on a solid offering of age-stated variants, and supported by a long list of one-off and limited releases, including four (to date) entries in its Experimental Series. When Bill Smith Grant began a serious push behind The Glenlivet in the US in the 1950s, annual sales stood at less than 700 cases; in 2017, they topped 1m cases for the fourth year running, with the US accounting for about 40% of that figure. Since The Glenlivet came under the ownership of French drinks group Pernod Ricard in 2001, the ambition has been to make it the world’s best-selling single malt – which it achieved briefly in 2014, before being overtaken again by main rival Glenfiddich. This modern era has been characterised by an expanding distillery trying to keep pace with demand: The Glenlivet’s 12-year-old age-stated product was withdrawn from most markets in 2015 in favour of NAS expression Founder’s Reserve – but it should be back on sale by 2020. Beloved by collectors and by a new breed of whisky investor, Macallan dominates the rare whisky auction scene, which in turn casts a beneficial halo over what has become the world’s most lucrative single malt whisky. 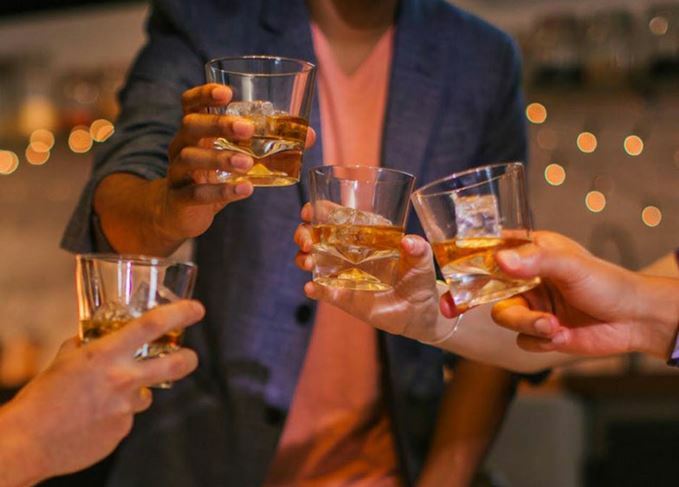 If this top 10 were measured by dollar sales, rather than case volumes, Macallan would top the chart by some distance – its annual revenues are only beaten by four Scotch whisky brands, the big blends of Johnnie Walker, Chivas Regal, Ballantine’s and Grant’s. Macallan’s secret? Small stills and a heavy new make character that finds its richest and most complex expression through long maturation in ex-Sherry wood; and, more prosaically, a single-minded and long-term focus on pursuing luxury brand positioning, especially in the US and the Far East. This is encapsulated by Macallan’s recently-opened, jaw-dropping £140m new distillery, which aims to do far more than expand its production; a long way indeed from the humble beginnings of one of Speyside’s original, early 19th-century farm distilleries. Singleton is a creation of the modern, 21st-century age of single malt – a determined effort by owner Diageo to create a brand vehicle to take on the might of Glenfiddich and The Glenlivet. How to play catch-up? Take three malt distilleries – Dufftown, Glen Ord and Glendullan – and bring them together under one umbrella brand. Historically, each had a regional focus (Europe, Asia and North America respectively), but that’s changing now in favour of a more global approach. While 12-year-old whiskies form the core, a plethora of age-stated and NAS expressions play around the fringes, including the oldest yet, a 40-year-old Singleton of Glendullan release in February this year. Currently celebrating the 175th anniversary of its founding in the Highland town of Tain, Glenmorangie was one of the pioneers of the modern malt boom – but was already marketing itself as a single malt back in the Victorian age. A light, fruit-forward spirit owes its character to some famously tall stills, married in more recent times to the enlightened cask maturation policy of Dr Bill Lumsden and the financial clout of its owner since 2004, French luxury goods monolith LVMH. That tenure has included the wholesale makeover of the Glenmorangie range around Original and a tight roster of finishes, alongside regular high-end and limited releases, such as the annual Private Edition bottlings. By 2020, the distillery will have expanded further, with a new stillhouse housing two more stills currently under construction. William Grant’s second-string single malt continues to grow apace, with a double-digit sales volume increase last year built on strong momentum in the US, Far East and duty free. From its beginnings as a single malt in the mid-1970s, Balvenie’s liquid has been overseen by one man, David Stewart MBE, one of the early explorers of ‘finishing’ or extra-maturation, particularly with the creation of the popular DoubleWood expression 25 years ago. Stewart’s immense contribution has been recognised through the DCS Compendium concept – a run of five annual releases of high-end single cask single malts, arranged thematically and chosen by Stewart himself. Other limited expressions include Balvenie Fifty, a series of batch releases under the Balvenie Tun 1509 banner, and peated single malt Balvenie Peat Week, which launched last year. Launched in 2005, this new-generation blended malt originally took all its whisky from three William Grant-owned distilleries: Glenfiddich, Balvenie and Kininvie. More recently, however, the company has stopped communicating this element of provenance, freeing it up to use other malts (specifically Ailsa Bay, located within its Girvan grain complex) when needed. A thoroughly modern whisky brand that pushes mixing more than sipping, Monkey Shoulder owes its name to a painful ailment suffered by malt men, who were sometimes left with one arm hanging down after long shifts of turning barley by hand. As a brand, Monkey Shoulder is currently on fire, enjoying rapidly rising sales in the US, and has been named the ‘trendiest’ Scotch whisky by trade magazine Drinks International four years running. An offshoot with a peated element, Smokey Monkey, was launched last year. Famously medicinal, tarry Laphroaig now finds itself under the same corporate roof as fellow Islay distillery Bowmore, since Japanese group Suntory bought US-based Beam Global in 2014. There’s a determination to maintain the unique character of the Prince of Wales’ favourite single malt, both through the preservation of the distillery’s floor maltings (accounting for 20% of Laphroaig’s needs) and the careful approach to current plans to expand production. Laphroaig was being sold as a single malt almost a century ago; more recently, pressure on stocks has led to a growing number of NAS bottlings and the withdrawal of some age statements. More than four decades of French ownership have given Aberlour a strong following in France, but trade issues in that country cost the brand a chunk of its expected sales last year, dropping it down the top 10. Whatever value you may attach to regional stereotypes, Aberlour is what many people think of as archetypical Speyside: fruit, malt, sweetness and enough weight to lend itself to ageing in ex-Sherry casks. There are a number of expressions out there, but perhaps the most loved is A’Bunadh, a 100% Sherry-matured, cask strength single malt released in batches since the year 2000 – a no-age-statement success story from the days before NAS cynicism set in. Aberlour is now continuing to plough the Sherried furrow with the recent release of Casg Annamh, another NAS malt matured in oloroso Sherry casks. For many years, Glen Grant was a family affair: established by brothers John and James Grant, with John’s son (also John, but better known as ‘The Major’) setting up the distillery to produce the trademark Glen Grant new make style of light, fresh and fruity. As early as the late 19th century, Glen Grant’s whiskies were to be found all over the world, but the post-war era has been one of much change in terms of ownership: Seagram, Pernod Ricard and, from 2006, Campari Group. The attraction of Glen Grant to an Italian company should be obvious, given that the single malt has legendary status in Italy, which remains its biggest market. Campari oversaw a revamp of the core range in 2016, with age-stated whiskies created by master distiller Dennis Malcolm OBE, who was born at the distillery in 1946.